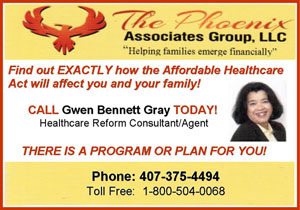 You are here: Home Lifestyles/People Why Is It Impossible To Implement Black Agenda Strategies? ignores the Black community or they slant information against us. Step ‘A’ of this plan, might be identifying Black radio DJ’s, and Black content writers and conscious YouTubers who could become active blogging members of such a network. This activity might be assigned to a volunteer who has the time to listen to each radio DJ’s active performance, and to read several offerings of each content writer and watch videos of every YouTuber who could become a member of the network. This part of the project might be planned for completion within three or four months. Keep in mind that this survey is only one part of a multi-part strategy and there are multiple strategies making up the project. Each strategy may have many parts and all of the parts are on a specific time table. Often, complications arise such that part 2 of Strategy ‘C,' can’t be started, until part 4 of Strategy ‘D’ is completed. Lacking an implementation method, the strategic plan is likely to fail. 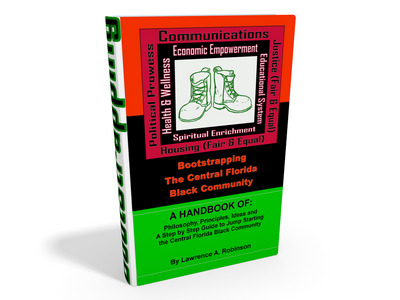 What has happened in the Black community largely is that many strategic advocate groups have been developed and are working independently of an all inclusive unit. All of these independent advocate groups are finding their own funding, and their own audiences and their own support. Unfortunately, advocate groups working independently will never solve the community’s issues. They could be successful on their own but will never solve the larger community problems because the totalities of issues are all interrelated. For example, it is hard to have a great high school, if the feeder junior high school is severely lacking. The entire educational system has to be adjusted. An independent advocate group is not sustainable community wide and will not be successful until it becomes dependent on the success of the community. The fate and future of the ‘advocate group’ is linked and intertwined with the fate and future of the community. The success of The Central Florida Black community depends on the successful implementation plan, where strategies allow all 'independent advocate groups’ to be dependent on the community’s success for its own survival. Pulling this feat off will not be easy. Do you think we can accomplish this task in Central Florida? Yes, there is a plan.